Monsoon Grey flagstone available in different sizes and thickness. Being a notable Manufacturer and Supplier of Flagstones, we make sure that meet high quality standards of the industry. Our Flagstones are processed under the supervision of the experts and thus, have commendable appearance and strength. We provide Flagstones at market leading prices. 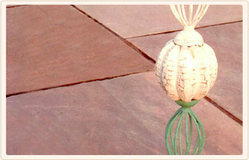 Our organization is indulged in offering Slate Flagstone to our clients. Using the time saving concept with mesh backed, interlocking into mats. Then every each mat interlock with each other, and there are several options for interlocking mat designs. These are available at most affordable prices. Our Flagstones are widely demanded for construction of resorts, hotels, individual house, and so forth. We have proficient craftsmen to polish and finish the stones efficiently. The Flagstones demanded by us are highly appreciated by the clients. We are identified as one of prominent Flagstones Manufacturers, Suppliers, and Exporters in India. We also offer flag stone to our clients.These flag stones can be finished to produce a variety of surfaces including textured and ground, with or without chamfers. This range is particularly suitable for public spaces with extremely high pedestrian traffic areas. We bring forth vast industrial experience and expertise in this business, involved in offering a high-quality range of Flagstone Tile. 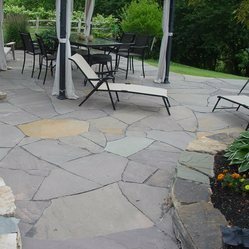 In order to retain a remarkable position in this industry, we are providing a wide array of Grey Flagstone.